Allen & Unwin Academic, 9781742375182, 310pp. Two days before Christmas in 1987, at the age of 17, Niromi de Soyza found herself in an ambush as part of a small platoon of militant Tamil Tigers fighting government forces in the bloody civil war that was to engulf Sri Lanka for decades. With her was her lifelong friend, Ajanthi, also aged 17. 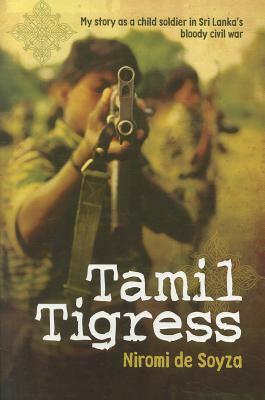 Leaving behind them their shocked middle-class families, the teenagers had become part of the Tamil Tigers' first female contingent. Equipped with little more than a rifle and a cyanide capsule, Niromi's group managed to survive on their wits in the jungle, facing not only the perils of war but starvation, illness, and growing internal tensions among the militant Tigers. And then events erupted in ways that she could no longer bear.